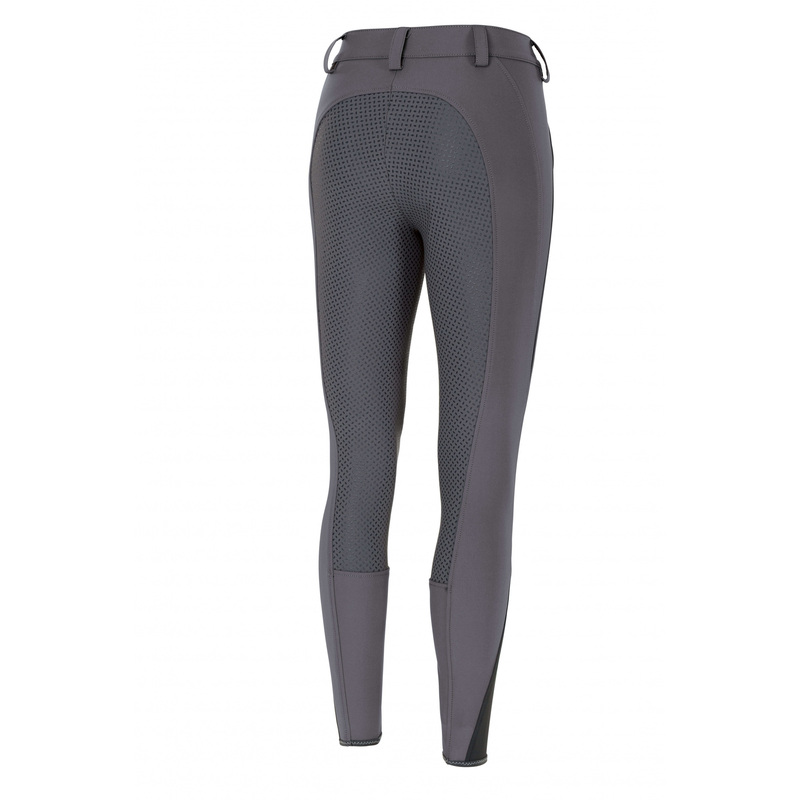 Ladies' breeches with full silicone seat that provides perfect stabilization and grip in the saddle. 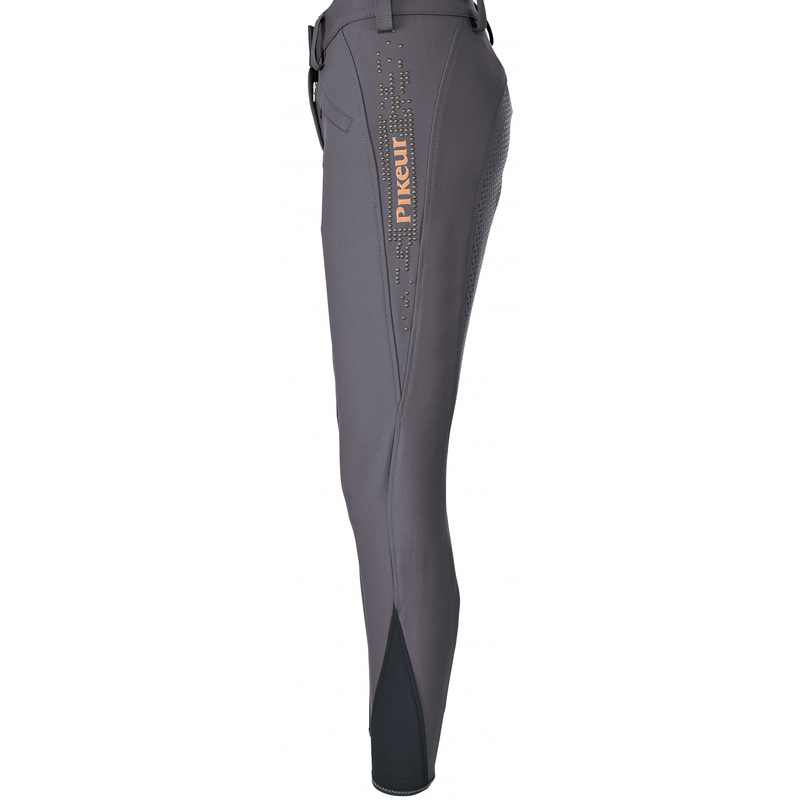 There are zippered pockets on the front. 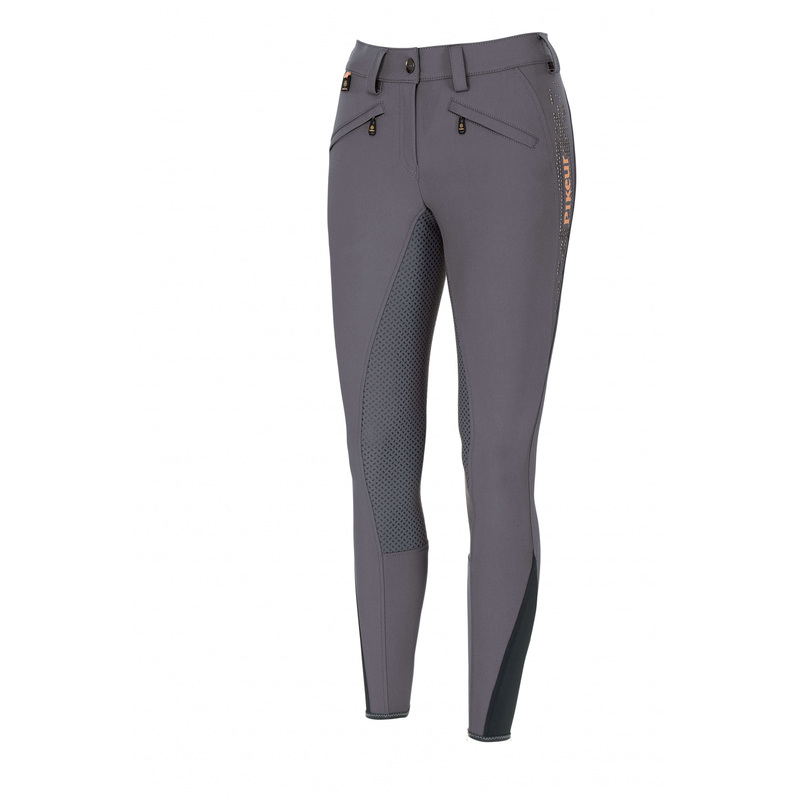 These breeches are made of elastic technical material that stretches in all 4 ways. Their legs have elastic insert. The breeches are decorated with a Pikeur tag on the left hip and a shiny ornament.